Since going through the Couture Dressmaking Techniques Craftsy class with Alison Smith to make my 1930s trousers, I've been itching to try one of her other classes, the Essential Guide to Tailoring. You see, one of my goals this fall is to make myself several suits, and couture techniques and tailoring are a huge part of making really fabulous ones. I've made a suit before, but it didn't feel like the sturdy, beautifully shaped vintage suits I've encountered. Looking back, it's obvious! I just sewed it together. I didn't do any shaping or tailoring techniques, so the jacket doesn't feel as good. While I still like it, I wanted something more structured. The Tailoring class is currently on sale for $25, and that sale was just enough motivation to get me to buy it, in combination with the fact that despite searching high and low for free resources, I could find nothing truly helpful. I bought it and watched the class, then I began implementing it on my first test project: a double breasted 1930s suit jacket to go with my Smooth Sailing trousers. In my next post I'm going to talk about the process of sewing a tailored garment and how the 30s jacket turned out, but for this post I wanted to talk about the Craftsy Tailoring class specifically. Once again, Alison Smith hits it out of the park! I had ZERO knowledge of tailoring besides what I had just learned in the Couture Class (mostly I learned to underline and hand sew things down). As far as scary things like canvas and shaping and the "guts" of a jacket... I was clueless. This class is now my go-to! Sneak peek of my upcoming project! It goes through three ways to tailor a garment: the traditional way, the speedy modern way, and a hybrid of the two. I focused on the traditional methods to try first, both to have a piece that feels authentically vintage and to have a good foundation of tailoring knowledge. I didn't want to pick a shortcut yet when I didn't know the original path. Alison discusses things like picking the type of tailoring to go with your fabric and garment, the materials you'll need, and how to put in the shaping bits like horsehair canvas and lambswool into the "guts" of the jacket. 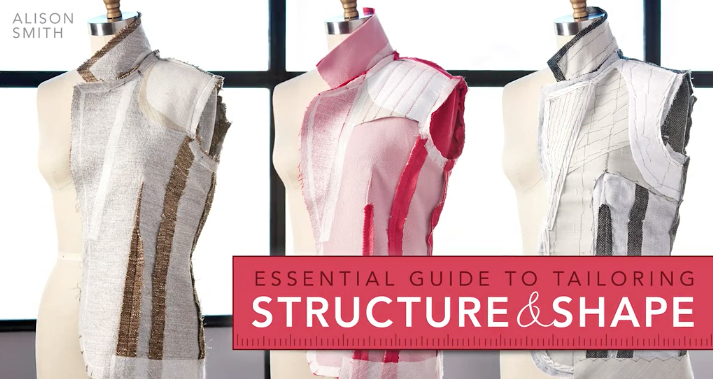 She also talks a lot about how to steam, press, and stitch pieces to "put shape into the fabric" before it's even sewn up. There's even a cheat sheet included for how to do each type of tailoring, and it's now taped up on my sewing room wall for easy reference! I HIGHLY recommend this class. One of the most expensive, coveted, hard-to-find types of vintage clothing is a suit that fits properly. Now that I've taken this class, I feel empowered to make my own! I've been extremely frustrated in looking for an actual vintage suit (very, very few seem to even remotely fit my petiteness), so the ability to make some for myself instead of dealing with the slim vintage pickins will radically change my wardrobe this season. Like I said before, The Essential Guide to Tailoring class is only 25 bucks right now! If you want to try it, now's the time! 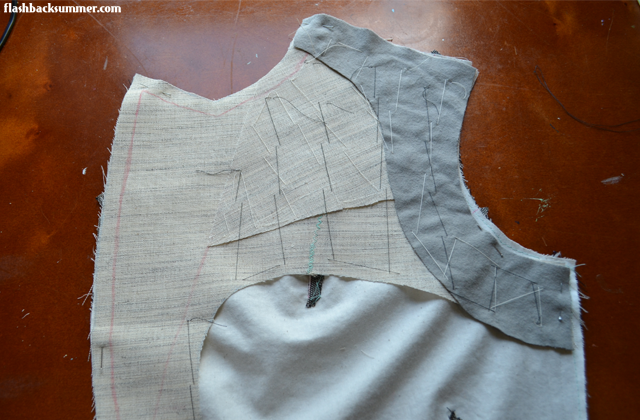 Have you ever tried sewing your own tailored garment? How did it go? If not, have you wondered about it? Have you noticed a difference between vintage suits and modern ones? I am not affiliated with Craftsy or Alison Smith in any way and did not receive any type of compensation for this post. All opinions expressed are totally my own, blah blah blah, you guys know the drill. Thanks for sharing this sale! I've had another class on my wishlist for ages (Tailoring the Classic blazer W/ Stefani Lincecum) but this will do just as well :) Needless to say, I bought the class! Oh now that sounds like a class I would want to try! Too bad my sewing list is already too long for me to have a reason to buy it yet. Perhaps next year. I cannot wait to see how your jacket turns out, Emileigh! You always do such an amazing job, and I'm sure this jacket, and all the suits you hope to make, will be just as stunning as all of your previous work. What a terrific goal to have. I wish you nothing but the best with your suit and all other sewing plans. I LOVE the Craftsy classes! They are a wonderful resource. Thanks for sharing your great experience with this tailoring class, Emileigh. And catching these classes on sale is a win-win!